Kastar E-Z Grip Air Chuck Tool - Passenger Vehicles features a sealed ball air chuck extended 1'' from handle to allow access to tight areas. Kastar E-Z Grip Air Chuck Tool - Passenger Vehicles provides a comfort grip when using the air chuck. Kastar E-Z Grip Air Chuck Tool - Passenger Vehicles has a durable, heavy duty handle that stands up to tough shop abuse. 1/4'' NPT pipe threaded end will accept an air line quick-disconnect fitting. Designed for use on trucks, dual rear wheels, semis, and hard-to-reach wheels. 1/4'' NPT pipe threaded end will accept an air line quick-disconnect fitting. Straight On Dual Head Tool permits access to hard to reach inner tandem wheels and includes the new tilt-lock feature which locks onto the valve reducing user fatigue. The 915 Kastar E-Z Grip Air Chuck Tool - Passenger Vehicles is one of thousands of quality tooling products available from MRO Tools. Please browse Kastar Automotive Air Chucks for tools similar to the 915 Kastar E-Z Grip Air Chuck Tool - Passenger Vehicles. 915 Kastar E-Z Grip Air Chuck Tool - Passenger Vehicles description summary: Sealed ball air chuck is extended 1'' from handle to allow access to tight areas. 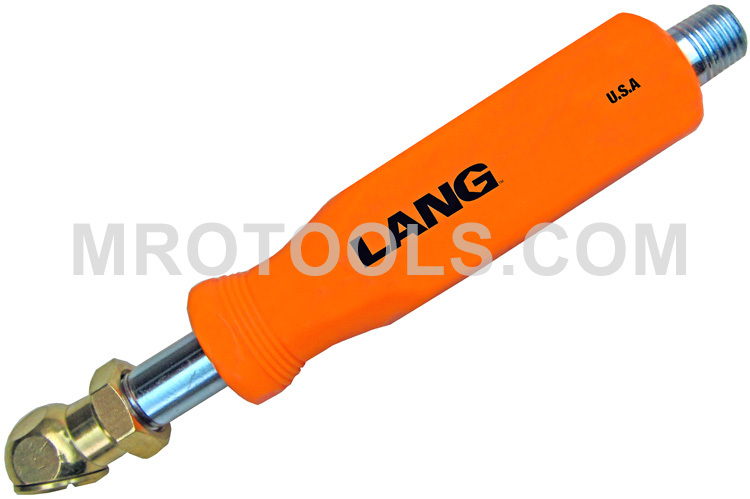 Quantity discounts may be available for the 915 Kastar E-Z Grip Air Chuck Tool - Passenger Vehicles. Please contact MRO Tools for details.